Johannes M. Schleicher is a founding partner and the heart of JadeMind, where he crafts simple solutions for complex problems by applying cutting-edge technologies. 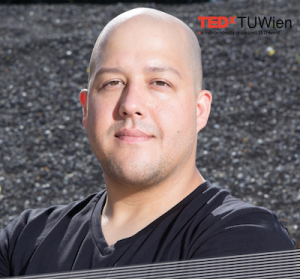 During his research at the TU Wien, he focused on Smart Cities and the Internet of Things. His interdisciplinary Ph.D. thesis on Smart City Ecosystems was awarded the “Austrian Award of Excellence” in 2017, and his research has been published in several high-ranking journals and conferences. He believes that impossible is just a matter of perspective and that it is essential to think big, no matter how small things grow. The rising number of small connected devices, paired with the rapid evolution of computing capabilities, changes our perspective on the environment. By using the example of Smart Cities and the Internet of Things, Johannes will explain how the pervasion of computing alters our understanding of complex systems. However, only if we manage to think big, we will be able to tap into the full potential of this new understanding.